The name was devised by Patrick, the husband of our founder and yoga teacher Irina Pashkevich Bourdier. Victoria House, the home of Iriness, was envisioned and built by Irina and Patrick in 2016-2017. The studio was created for yoga and holistic wellbeing. Benefiting from a wooden floor and underfloor heating, it provides a cozy atmosphere, full of light and warmth. We’re so happy to welcome you to our intimate space for “peaceful miracles”. We offer empowering tools to nurture all aspects of your being. Our vision is to help you find your personal holistic balance through the practice of Ashtanga Vinyasa yoga, as well as other therapies, such as clinical reflexology, cognitive hypnotherapy, massage, psychotherapy, physiotherapy, etc. At the heart of Iriness is yoga. 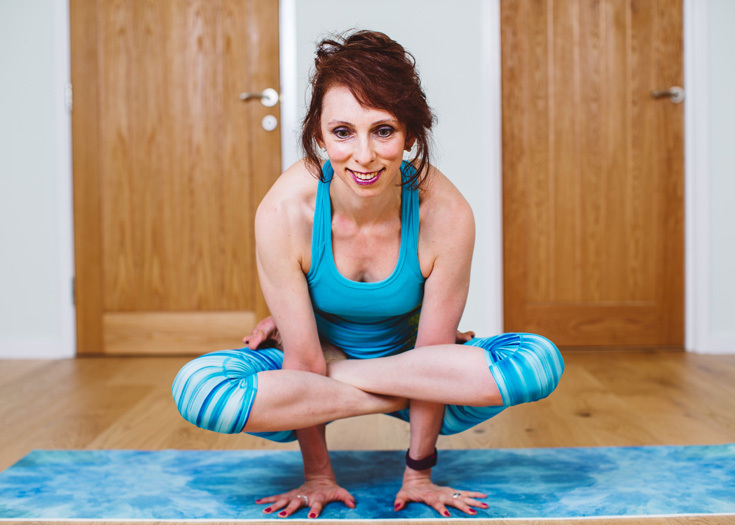 Yoga has brought Irina so much wellbeing, happiness, and balance, that she decided to leave her corporate career and build a dedicated studio to spread the miracles of yoga and wellbeing. With its health-giving and joy-bringing powers, yoga offers a rejuvenating practice for every student on a physical, mental and emotional level. Our intention is to help you increase your mobility, strength and flexibility as well as bring more moments of stillness and wellness into your life. We’re here to help you feel stronger, lighter and happier. We’re here to help you understand when to pursue your dreams and when to let go. 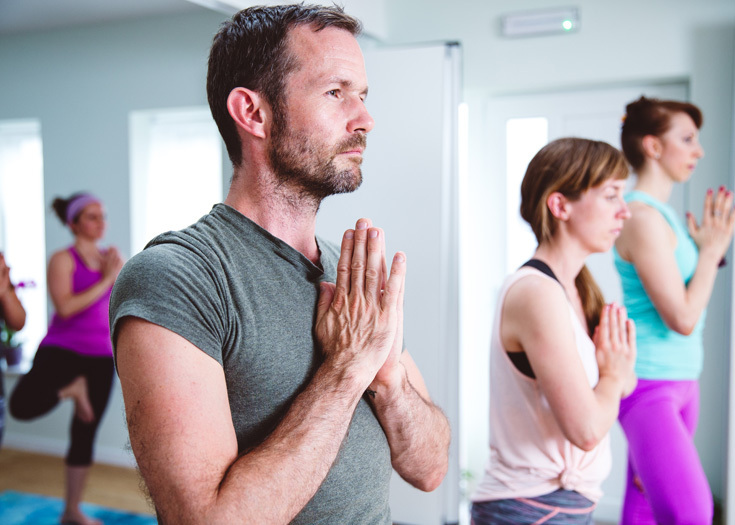 We’re open six days a week and provide teacher-led and teacher-assisted self-practice (Mysore) classes, both for those new to yoga and for experienced practitioners of Ashtanga Vinyasa yoga. We also offer private yoga tuition, workshops and various therapies from holistic experts. We look forward to welcoming you to Iriness at Victoria House – for yoga, therapies or just a cup of tea! To find directions to Iriness, please check our Contact page. My life began in Moscow – a harsh, cold, beautiful and deeply cultured place. Enchanted by music and literature, I graduated from the musical academy as a Piano major and gained a Bachelor’s and Master’s degree in Russian Philology and Literature. In the late 80s, Russia was moving at the speed of light and I felt like Marco Polo, going with the winds of change. I found a job in a British commodity trading firm in Moscow and a few years later was managing their global operations in Russia. In 2002 I obtained an MBA degree from Oxfordshire’s Henley Management College. England, its literature, language, culture and gentle magnitude, had captivated my mind since childhood and it was an amazing experience to study and work here in my twenties. Life planned more substantial changes for me and I “landed” in Israel, where I spent 15 years working in international high-tech corporations as a marketing and operations director. Israel was welcoming, vigorous, inspirational, and mostly filled with the love and care of many friends, who became my family. I discovered yoga in 1998 and ever since then, its practice, philosophy and anatomy have inspired all aspects of my life. My first teacher training began in 2006 with Shimon Ben-Avi, yoga philosopher and mentor. 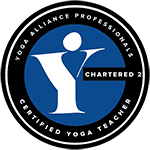 In 2008 I earned the 600-hour teaching certificate of the Israeli Yoga Teachers’ Association and started teaching in my sitting room, with a small group of dedicated yoga students and friends. I also worked as an assistant teacher on Shimon’s teacher training courses for two more years (additional 600-hour teaching certification). In 2007 I started studying with masters of Ashtanga Vinyasa yoga, John Scott and Lucy Crawford, completing their teacher training in 2009 in New Zealand. Since then, John Scott has been my insightful Ashtanga yoga teacher, helping me to deepen my own practice and tune mindfully into the practice of others. I have also been honoured to study yoga philosophy with Swami Nityamuktananda, who is a profound influence into my personal yoga enquiry. In 2012, at an altitude of 2000 metres, I was struck by love, which led me to Horsham. My teacher Shimon told me once that life was not a draft that can be erased and redrafted… our work is to commit fully and live every breath of life with utter dedication to what and who we choose. This is what I am and how my mind works. I was fortunate to finally find a partner in my husband Patrick, who has the same understanding of love, commitment and togetherness. In 2015, during a retreat at EcoYoga, the winds of the Scottish Highlands made me realise that I could no longer keep yoga as a marginal part of my life. So, I bought an old building near our home, demolished it and gave it a new life, a new purpose. 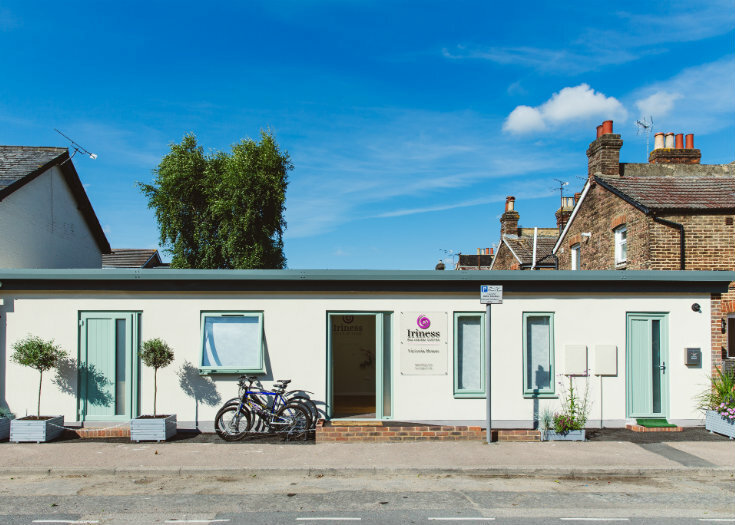 This is now Victoria House, the home of Iriness Yoga & Wellbeing. We have built it for the local community to learn the wonders of yoga and wellbeing. I feel so lucky and happy to be able to offer this space of love, joy and holistic health. I left my corporate career behind in the summer of 2017 and I’m now fully devoted to sharing wellness and balance with the tools of yoga. I hope to meet you soon so that we can share many joyful experiences together. Please get in touch if you have any questions. Ashtanga Vinyasa yoga is a therapeutic method entailing synchronicity of mental focus, breath and movement (Tristana) in a progressive series of postures. It is designed to increase mobility, strengthen all body structures, pacify the mind and improve overall wellness, spreading joy within and without. The ultimate goal of yoga is self-awareness and self-realisation, for which ample tools are provided. Ashtanga Vinyasa yoga is a teacher-assisted counted self-practice (Mysore-style), where small groups of students meet to practise various yoga sequences at their own pace, counting each breath and movement. Students share the same space and are being assisted by the teacher on a one-to-one basis. This method develops independence, discipline and creativity. We’re here to help you be the master of your own practice, whether you’re a novice or an experienced yogi. Ashtanga Vinyasa yoga was disseminated around the globe by the late guruji Sri K. Pattabhi Jois of Mysore, India. At Iriness, our resident Ashtanga teacher Irina has been certified by John Scott, a direct senior student of Sri K. Pattabhi Jois. 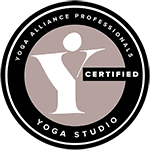 Ashtanga Vinyasa yoga benefits every gender and age. Its range of postural sequences, breathing, relaxation, and concentration practices is highly diverse and can be tailored to every person and every life situation. Ashtanga has the potential of being both a very physical and a very gentle dance-like practice. It is in the minds of the practitioners to create their own style. Our goal at Iriness is to help you find your own “signature”, develop it, enjoy it and blossom with it. We aim to pass on the original teachings, where connection between the student and the teacher is instrumental for personal growth. That’s why we practise in small groups, where every student is given the teacher’s personal attention, helping at every step of the way to build mental and physical stamina, flexibility, independence and creativity. For more information about Ashtanga Vinyasa yoga, watch this beautiful presentation by Irina’s teacher John Scott.